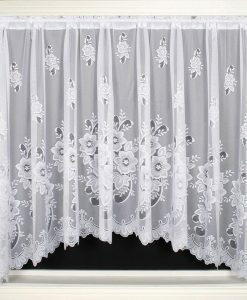 These white jardiniere net curtains feature a striking jacquard trailing flower with feature base. 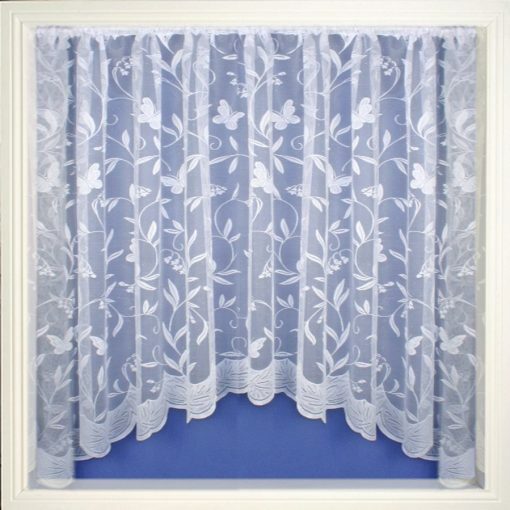 To create sufficient fullness we recommend 2x the width of your window. 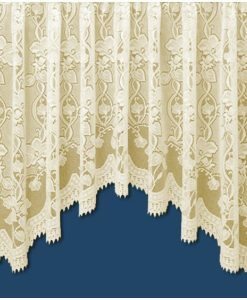 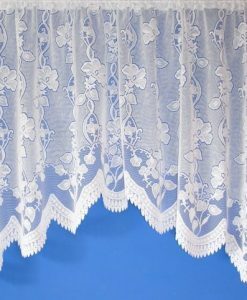 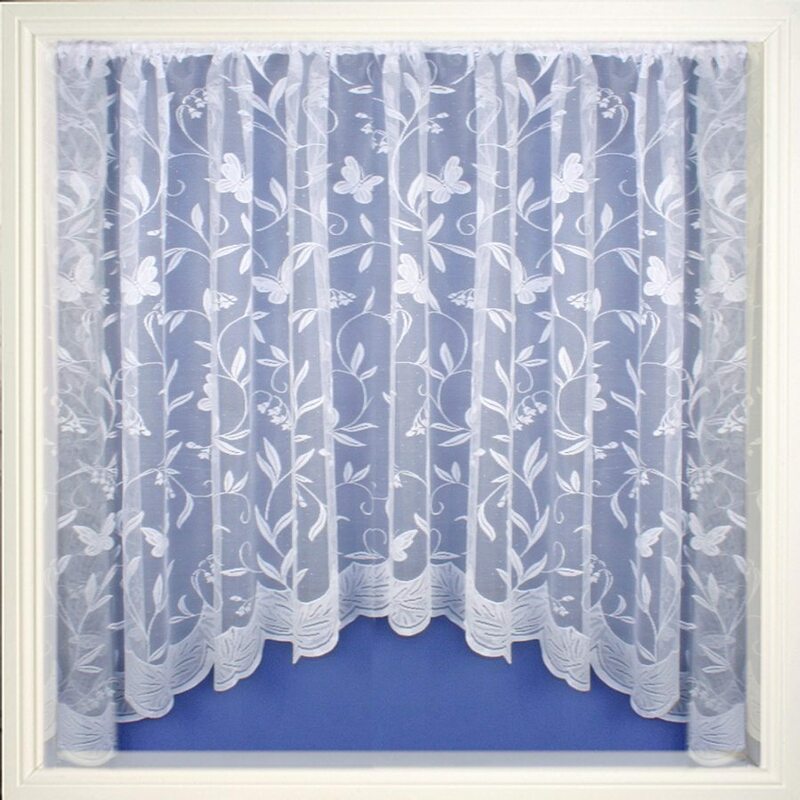 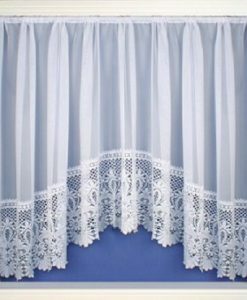 Click here for a guide on measuring net curtains.